Why is it important to seal all exterior wood structures with Sealwize™? First, you have to understand the problems with wood. Simply put, wood is organic! Organic materials have many different qualities and uses. However, all organic materials have a common trait that sets them apart from other materials: they naturally decompose. Decomposition of organic material is inevitable. It is nature’s way of recycling organic matter. 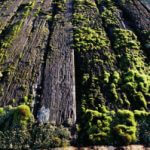 The U.S. Forestry Service states that if wood surfaces are kept below 20% moisture content, in other words, if they are properly sealed to keep water out, they will not rot and will be functionally and structurally sound, as well as aesthetically pleasing, for decades. Exterior wood, if left unprotected, is severely affected by the harsh elements of nature! Contamination comes in the form of food, dirt, pollen, animal waste and atmospheric pollution. The organic particulates provide food for mold, mildew, algae and fungus. 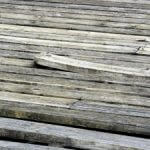 They build upon the surface and also deep into the wood fiber, causing it to appear gray and grungy. 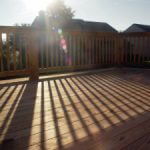 UV rays bleach the wood fibers and break down the cell structure, helping to turn the wood gray. Freeze/thaw cycles, especially where water has penetrated the inner cellular layers, cause splintering and small cracks to widen, allowing even more moisture to enter. 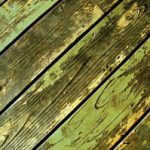 Damp wood is a natural food source for mold, mildew, algae and fungus. This generally causes a black, green or gray discoloration on the surface. Many molds and mildews cause severe respiratory problems in humans. 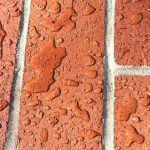 Why seal your concrete, flagstone, pavers or masonry with Sealwize™? Prevents surface deterioration from starting or getting worse due to freeze/thaw & Mag Chloride. Tightened surface pores mean snow and ice cannot attach itself so removal is easier. Significantly increases structural and compressive strength, reducing the likelihood of cracking. Provides easier cleanup of spills and fluid leaks from vehicles. Concrete is a man-made, 100% mineral-based, inorganic, “green” building material. In most cases, it is durable, while not particularly attractive, and long-lasting. So, why is maintenance necessary? Concrete, even though it’s extremely hard, is a big gray sponge (hygroscopic) that will absorb almost anything that comes in contact with it. Most things it absorbs either causes unsightly stains or penetrates the surface (such as water) causing internal damage that eventually becomes obvious at the surface. Deicing salts and freeze/thaw cycles also cause severe surface deterioration. Once deterioration starts, it is difficult to stop and impossible to reverse! Protect Your Investment – properly maintaining exterior concrete significantly improves its looks, thereby enhancing the value and appearance of any property.